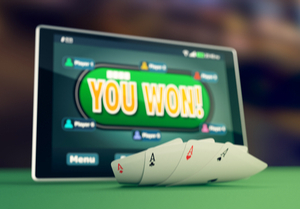 Over the last decade, poker has become hugely popular with worldwide players, and the main reason it has is due to the fact that licensed and legal online and mobile poker sites are now available to players in many different countries of the world. However, being a game that is part skill part luck, you do need to keep your wits about you when playing, and also know which of the many different poker playing strategies are going to be the best ones to make use of when playing. Therefore the following guide on to how to win poker is going to be passing onto your lots of playing hints and tips, in the hope you can improve your poker playing and win much more often that you lose! One of the most important things that you are going to have to get your head around is the true value of each hand combination that will be dealt out to you, not only your initial cards but also cards that are dealt out as community cards as each round progresses. 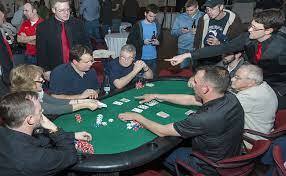 Whilst you are of course always going to be able to see and work out the value of the community cards, you need to base all of your betting and playing decisions on your hand and not what you may think your opponents may have, for they could of course have any combination of cards in their hand. Once you do know the value of your cards then you can start to move onto another important aspect of playing poker, and that is trying to master the very fine art of reading your fellow players! As soon as you do feel confident that you know the value of each possible hand combination you could be dealt out, then you need to become something of a people person! Half of the battle and the skill required to be a successful poker player is learning how to read your opponents, and that is sadly something that not all poker players are going to be able to learn how to do! Things to try and make a note of are facial expressions, the way players keep checking their hands and also the way a player may play with their chips or even simply talk to other players when they are waiting to play off their hand can give away clues as to what hands those players are holding. Some poker players have mastered the art of reading their opponents, and make no mistake about it, as soon as you learn to do so yourself, you are going to have more winning poker playing sessions than losing one’s! You really do have a lot to learn about playing poker is you want to have the very best chances of winning, and something else you will very quickly need to get to grasps with is treating your bankroll with the maximum respect. The only thing that is going to allow you to play poker in a real money playing environment is of course your bankroll, and as such you need to be aware of its true value, much more so when you have turned it into poker chips, and never make betting and playing errors that can cost you dear! Most savvy and winning poke players set themselves goals on each poker playing session they have, and will try and increase their bankrolls by a modest amount, and will then stop playing once they have done so. It will also be advisable for you to set your own loss limits too, for the days when the cards do not fall your way at the poker tables! Also keep in mind that there are now a much larger range of poker game variants readily available, much more so when you play online as opposed to playing in a land based poker venue. You may find one variant a little more appealing than others, so always keep your options open as to just which ones you play. But do try and set about giving all variants a try to ensure you are playing one you feel comfortable with. As you will come across pot limit games, no limit cash ring poker games and even a plethora of poker game tournaments, you will also need to have a good understanding of the ways those games and tournaments work, as you may find you are much better suited to one of them based on your level of skill playing poker, your actual poker bankroll and your playing style too! If you ask any vastly experienced poker player what is the one thing they have noticed during their poker playing career, the majority of them will tell you it is the fact that they never stop learning. Long before you do set about playing poker in a real money playing environment you should put in thousands upon thousands of hours playing poker in a free play environment, as by doing so you will pick up lots of valuable playing experience. Many first time poker players get the impression that as they cannot win anything playing poker for free it will be a pointless exercise! However, nothing could be further than the truth, for when you do set about playing poker for free initially you are going to come across a huge number of different players and by watching and studying the way they all play you will become much better player yourself. But never be in any type of rush to play poker for real money, as you only should set about doing so when you have fully mastered the ins and outs and the pitfalls of playing, and for every winning poker player there will of course be a losing poker player too! !